I been trying to fit in downtime to complete at least 1 Christmas gift every other week. Thought I'd share this pattern find. You can create useful practical items, that can be used long after the holidays are over. 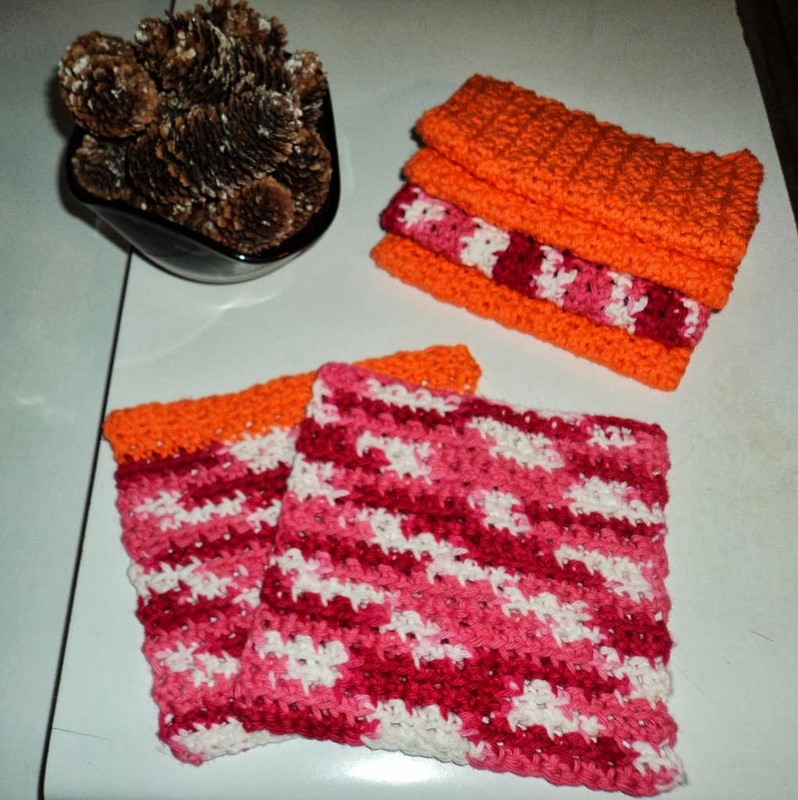 I used Peaches & Cream 100% Cotton Yarn, cloths came out nice and soft, but will be very durable! What holiday projects are you working on?